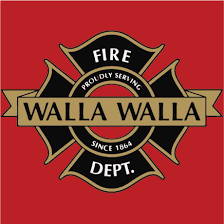 WALLA WALLA, Washington — This morning at 9:37, WESCOM received a call for a car fire on White Street. Walla Walla Fire Stations 1 and 2 responded with two engines and eight personnel. Upon arrival, they found a car fully involved in the alley next to the garage at 1441 Portland St. Fire personnel had the fire under control within 11 minutes. The individuals who own the car are homeless, and had lived in the vehicle intermittently. They were not in the car at the time of the fire, but a dog in the vehicle died. The individuals are being assisted by Better Together.